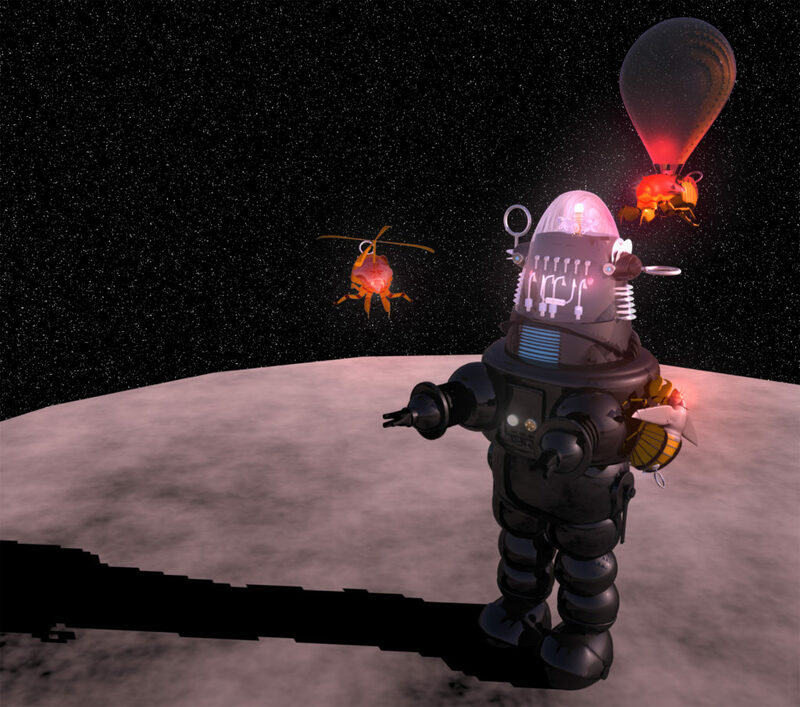 Robby the robot from the 1956 feature film Forbidden Planet 3D modeled in Autodesk Maya. When I saw Robby the robot as a child, my first reaction was one of revulsion. However, the visual aftertaste was interesting–a form of adorableness. 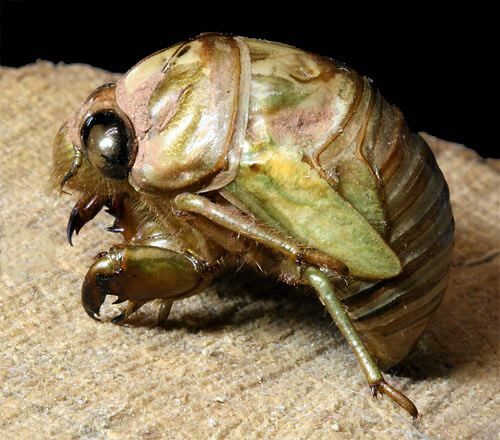 When I look at a cicada nymph, I get a case of the shivers, but it is also very cute. My concept of a “side-kick” for Robby was more like a fleet of little critters that could maneuver much faster and more efficiently than the bumbling, old robot. 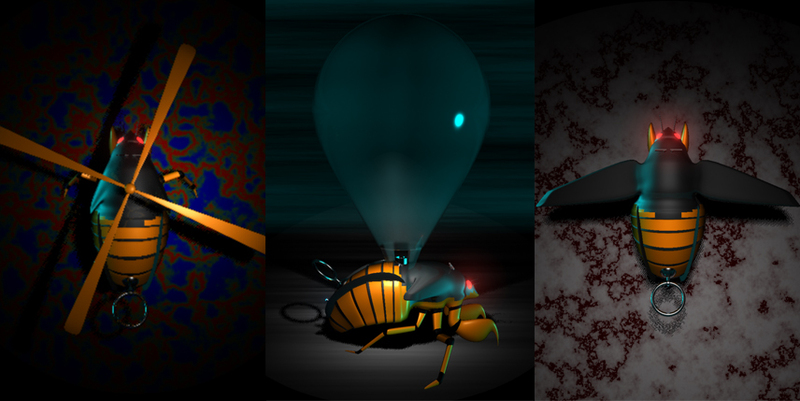 Nymphs seem very similar to Robby in physiology, and I figured that if I added forms of flight, they could be more useful (even if they have flight just a metamorphosis away).